Inga was born in Vilnius, Lithuania, EU. From 1998-2000 she worked as a manager at the Business Lounge of Vilnius International Airport, Lithuania, enjoying much her dynamic lifestyle. However, the day came when Inga’s life was shattered. 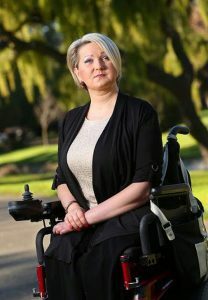 At the age of 22, Inga woke up in ICU, hooked up to a life support machine fighting for her life. Soon Inga learned that she and her boyfriend, in the midst of having a fun night, hit a light pole at a speed of 100 miles an hour in the downtown of Vilnius City. The brutal car accident reached the news throughout the country. Her boyfriend was ejected out of the car and killed instantly due to severe skull injury. He was 26 y/o. After cutting the wrecked car into pieces, the emergency crew extracted Inga half-dead, without her legs. Upon the moment of impact, some parts of the car severed both of them above the knees. Due to a substantial loss of blood and the extensive trauma, Inga was immediately placed into the ICU and hooked up to a life support machine. She was given a 30% chance of survival. Praise the Lord, Inga was brought back to life even though her heart has stopped two times. When Inga woke up, she found herself in a world that was a pure devastation: severe injuries throughout her body made Inga unable to speak, move and do anything independently. Inga had lost both of her legs above the knee. The left hand was fully paralyzed and did not show any signs of life except delivering constant, sharp, burning pain. Inga was confined to the bed, unable to do anything independently, except open and close her eyes. In one moment the young woman’s life changed forever. From being vigorous and self-sufficient, Inga became weak and totally dependent on others. And, she became imprisoned by the walls of her own home because at that time Vilnius city was not accessible for people in wheelchairs. Inga felt so much contempt for what the crash has created in her life that she couldn’t stand her existence in it. Inga vowed to herself that this was not how she was going to live. She would change it. Inga heard people saying to her repeatedly that this car accident broke her destiny. Her response was – this crash did NOT destroy her destiny and that she would create the destiny she desired. Inga firmly believed that with God’s help she could reclaim her independence and she was ready to work relentlessly to achieve her vision. And, it was the beginning of Inga’s extraordinary and amazing life journey. Going against circumstances and opinions of others, Inga aimed for goals that seemed beyond her grasp. Inga’s first goal was to walk again wearing artificial legs. Local prosthetic specialists tried to ensure Inga that in her physical condition of bilateral above the knee amputee and having one arm paralyzed it was impossible to walk wearing prosthetic legs. But Inga told them that she would walk and would even dance, and they would see it. 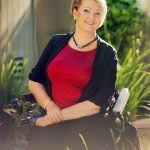 In spite of much advice – to come to terms with a “disabled lifestyle” – Inga researched online about prosthetic legs worldwide, emailing prosthetic companies. 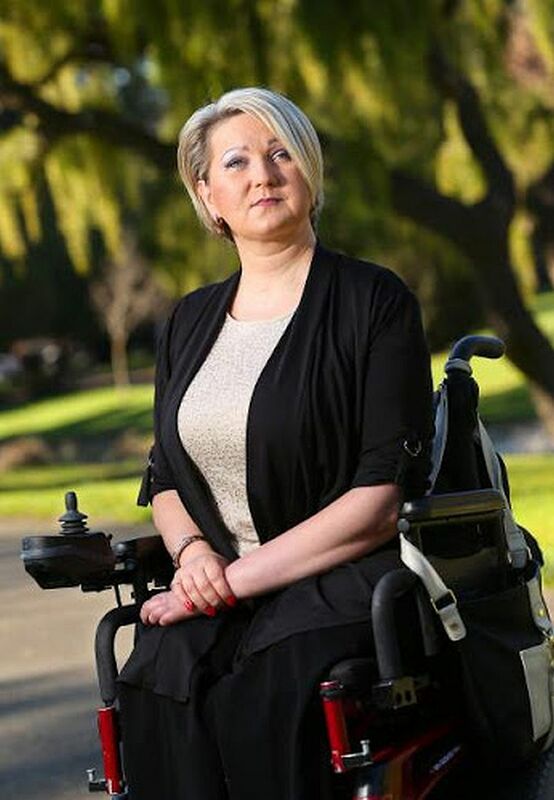 Inga’s relentless perseverance to walk again brought her all the way to California, USA. Thanks to an American prosthetic specialist, who believed that Inga’s dream was possible and decided to help her, Inga fulfilled her vow. Inga walked and danced, just as she said she would. 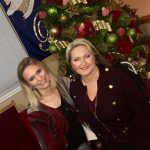 After achieving her first goal, Inga decided to return to the U.S. to continue pursuing her ultimate vision of establishing an independent and fulfilling life which was taken from her by the crash. The endeavor seemed impossible due to the challenges involved; Inga had no place to live, not a lot of money and no work, and little chance that her goals could be implemented. In addition, Inga had no legs and only one functional arm. She faced an enormous challenge. But, Inga decided to trust the Lord and returned to California to see how she could establish the life she was longing to live. Inga set various goals for herself, made continuous efforts to achieve them, and within a few years, she fulfilled her vision of establishing a dynamic and fulfilling life. Since 2005 Inga has been living independently in California. Inga’s life has been completely transformed. Today she lives even a much more fulfilling life than before the car accident. Inga is self-sufficient, lives on her own, works, travels, and joyfully builds relationships, all the while helping others. Currently, Inga works as the Public Relations & Volunteer Coordinator at Disability Services & Legal Center (DSLC). 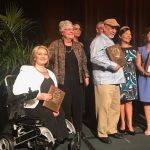 On June 2, 2017, the Board of Directors of California Human Development (CHD) gave Inga a Champion Award for serving as a role model to people with disabilities and for vital support of CHD’s disABILITY Services programs through her work with the Disability Services & Legal Center. Inga’s journey of recovering from adversity and reclaiming her life developed a passion to help people. So Inga decided to devote her life and career to her calling. 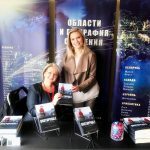 Inga authored her book “UNSTOPPABLE. It’s a Choice”. It’s a memoir and life coaching/personal development book, based on her Christian faith. 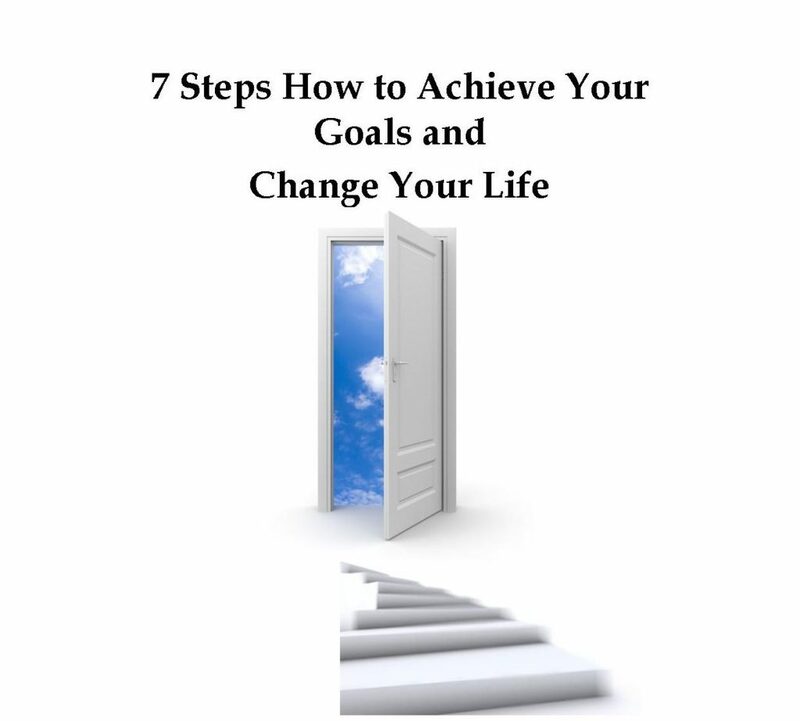 The book aims to inspire, coach, ignite faith, and equip the reader with knowledge on how to overcome hardships and create the life you desire in spite of any obstacles, and trust God. Inga Co-Founded the Becoming Unstoppable, LLC. 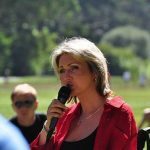 Through Public Speaking and Life Coaching services, Inga now aims to make a difference in people’s lives by bringing the message of faith and hope and equipping people to overcome hardships, break through any circumstances and achieve their goals, so they can create the lives they’re longing to have. Over the years Inga has conducted a number of public speaking engagements and interviews in both Lithuania and in the United States for television programs, radio, and publications for inspirational purposes, and she looks forward to continuing sharing her message of hope.